On 28 February 2018, members of the MMRG (Madeleine McCann Research Group) posted, by Special Delivery, a letter to the Chief Prosecutor of Portugal, Drª Joana Marques Vidal. The lines of enquiry advanced by MMRG in the letter have emerged in large part from the long-term efforts of members of CMOMM. There are a number of MMC discussion forums. Ours has been a discussion-forum plus. By that, I mean it is discussion + focussed research. Literally hundreds of CMOMM members have, over the years, contributed to the hypothesis laid out by MMRG in its letter. I thank every one of you so much for your time, effort and input. As a result of painstaking research by many people, we believe that we are now in a position to supply you with new and credible evidence on one matter (the date of death) covered in the first point of Tavares de Almeida’s report. We are satisfied that we can now provide sufficient evidence to show that the minor Madeleine McCann died not on the night of Thursday 3rd May, but instead died between Sunday afternoon (29th April) and Monday afternoon (30th April). In Tavares de Almeida’s report (6), he states the following about the events of the evening of Thursday 3 May: But there is another question about the timing which is this: The last time that the child was seen outside of the group, by someone who can prove they saw her, was at around 5.35pm, when the parents went to pick her up at the crèche. This may widen the time lapse between Madeleine’s ‘disappearance’ and the alarm being raised into more than four hours. (1st passage) On the fateful day of May 3rd, the attendance register at the play centre indicates that Madeleine arrived at 9.10, accompanied by her father. Her mother came to fetch her at 12.25 for lunch and took her back at 2 o'clock. After jogging on the beach and going to fetch the twins, she collected Maddie at 5.30pm. From that moment on, no other person saw the little girl, apart from her parents and their friends. What happened then in the apartment remains a mystery. (2nd passage) We finally decide to question [Kate McCann[ as a witness, but not to pose questions on the events after 5.30pm, the time at which she returned to the apartment with her three children. Later, during the course of the morning of May 4th, the father gives the same brief description [as Jane Tanner did] and refers back to Jane for additional details. The latter [Jane tanner] appears at the offices of the Policia Judiciara in Portimão at 11.30am. This time, the description is very precise: the individual, aged between 35 and 40, was thin and 1.70m tall; his hair was dark brown, falling over his collar; he was wearing cream or beige trousers, probably linen, a sort of anorak - but not very thick – and black shoes, classic in style. He was walking hurriedly, with a child in his arms. He was warmly dressed, the reason she thought he was not a tourist. The child appeared to be asleep - she only saw the legs - had bare feet and was dressed in pyjamas, which were obviously cotton, light-coloured, probably white or pale pink, with a pattern - flowers maybe, but she isn't certain. Concerning the man, she states that she would recognise him from the back by his particular way of walking. The importance of this statement will be seen later. From information from Sagres, we learn that an individual has been surprised on Mareta beach taking photos of several children and in particular of a little girl aged 4, blonde with blue eyes, who looks like Madeleine. It was the little girl's father who noticed him. This 40 year-old man, wearing glasses, tells the investigators that the photographer tried to kidnap his daughter in the afternoon of April 26th in Sagres. “Thanks to the father's composure, he managed to take a photograph of the vehicle. It's not very clear and does not allow us to make out the number plate, but we succeed, nonetheless, in finding the car. The car hire firm provides us with the identity of the driver. He is a forty-year-old Polish man, who is traveling with his wife. They arrived in Portugal on April 28th, from Berlin. At Faro airport, they hired a car and were put up in an apartment in Budens, near Praia da Luz. Unfortunately, on May 5th, at 7am, they had already left, taking with them their camera and all the photos from their holiday. We ask the German police, through Interpol, to monitor them as soon as they arrive in Berlin. All the passengers are questioned, but no one has seen a child looking like Madeleine. In Berlin, the couple take the train to return to Poland. Thus, the Polish trail comes to an end. We would like to have seen their photos...but that proved impossible. 9 This admission was important because, in the two days after Robert Murat was made a formal suspect, three friends of the McCanns (Fiona Payne, Russell O’Brien and Rachael Oldfield) all made statements to the PJ claiming that they had seen Robert Murat near the McCanns’ apartment on the night of 3 May. Yet eight months later (January 2008), they admitted that they might have been ‘mistaken’. (18) Le livre de GQ n'est pas une preuve. None of these features match the claim that this photograph was taken on Thursday 3rd May. They all match, however, with the only sunny and warm day of the holiday: Sunday 29th April. The photograph was not produced by the McCanns until Thursday 24 May. 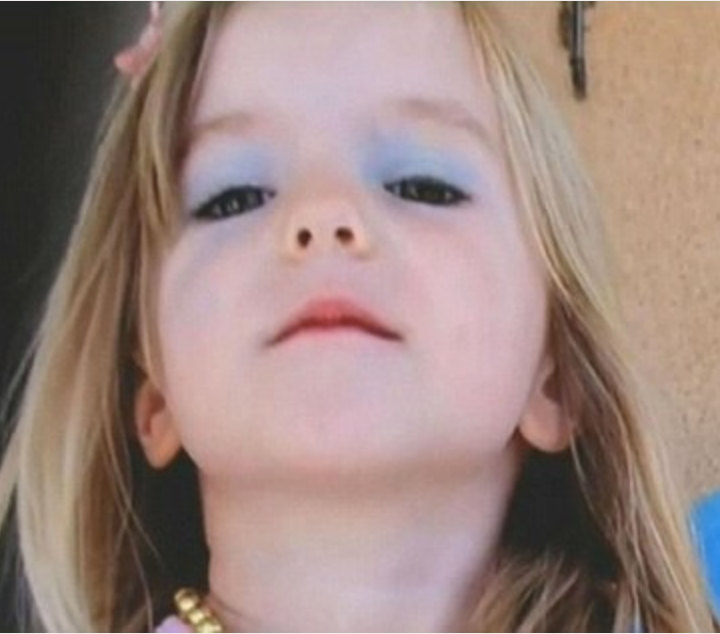 Why, when it was already in the McCanns’ camera, was it not produced straightaway, when the police and the press required the most up-to-date photo of Madeleine? Therefore we have no proof of any photograph of Madeleine being taken on the Monday, Tuesday, Wednesday or Thursday that week. That is wholly consistent with our case that Madeleine died on the Sunday. We should add that a Mr Philip Edmonds, a Director of Stemcor, the international steel company, was on holiday that week with his three sons, and claimed to have taken a photograph of his three sons playing in the Ocean Club playground, on Thursday 3rd May, showing Madeleine McCann in the background. He further claimed publicly that he had sent this photograph to the PJ. However, no such photograph appears in the PJ files, nor has it been published elsewhere. There is every reason to doubt whether – even if he has supplied such a photograph – that it could prove that Madeleine was alive that day (38). - moreover, he waited until around the time that the plane taking Krokowski and his wife back to Poland was taking off from faro Airport. This seems to us like more than a coincidence (9) (10). [note : We add here the strange matter of the evidence of three members of the Smith family, who claimed to have seen a man carrying a girl dressed only in pyjamas at about 10.00pm on Thursday 3 May. What is astonishing is that when they travelled to Portugal to give their statements on 26 May, they also gave an almost identical description of the man they claimed they saw to those given by Jane Tanner and Nuno Lourenco. The Smiths also described a man ‘about 35-40’, ‘wearing cloth clothes’, ‘wearing classic shoes’, and who ‘didn’t look like a tourist’. The girl he was carrying was also dressed only in white/pink pyjamas. If we are correct in asserting that Madeleine was probably dead on Sunday, then what possible explanation can there be for him reporting seeing someone, at about 10.00pm on Thursday 3rd May, identical to the descriptions of a man given by Jane Tanner and Nuno Lourenco? It raises a realistic possibility that this was also a fabrication, and that Martin Smith and his family were also using the same description of Wojchiech Krokowski. The unreliable evidence of the children’s nanny, Catriona Baker, Dr Gerry McCann and Dr Kate McCann about an alleged ‘high tea’ at the Ocean Club Tapas restaurant, at about 5pm to 6pm on Thursday 3 May. The crucial evidence that Madeleine was still alive at 5.30pm on Thursday 3rd May came from one of the nannies, Catriona Baker (39) (40) (41). She was also the crèche nanny for Madeleine’s daytime group, the ‘Lobsters’. Both Tavares de Almeida and Gonçalo Amaral in his book were certain that she was telling the truth, and that, because she was thought to be an ‘independent’ witness, they could rely on her word (18). Detailed investigation, however, has uncovered a mass of contradictions LESQUELLES ? as between the four main witnesses who gave evidence about this alleged ‘high tea’ on the Thursday afternoon: Dr Gerry McCann, Kate McCann, and crèche nannies Catriona Baker and Charlotte Pennington (12). These contradictions have been analysed by many Madeleine researchers. All have come to the conclusion that the contradictions are so many and so serious that it is highly doubtful that this ‘high tea’ happened at all. It is simply not possible to accept Catriona Baker as a witness of truth. Furthermore, research has uncovered the fact that Catriona Baker probably knew the McCanns before this holiday (4). Records on the social media group Facebook show that Catriona Baker was, in 2006 and possible before then, a Facebook friend of Chloe Corner. Chloe Corner is the daughter of Madeleine’s godfather, Jon Corner. Jon Corner was highly involved in events after Madeleine was reported missing. Within hours, he was seemingly able to send unlimited photos of Madeleine to the media, from his home in Liverpool. In addition, Jon Corner said he had been to Praia da Luz several times previously, suggesting a connection with the village. 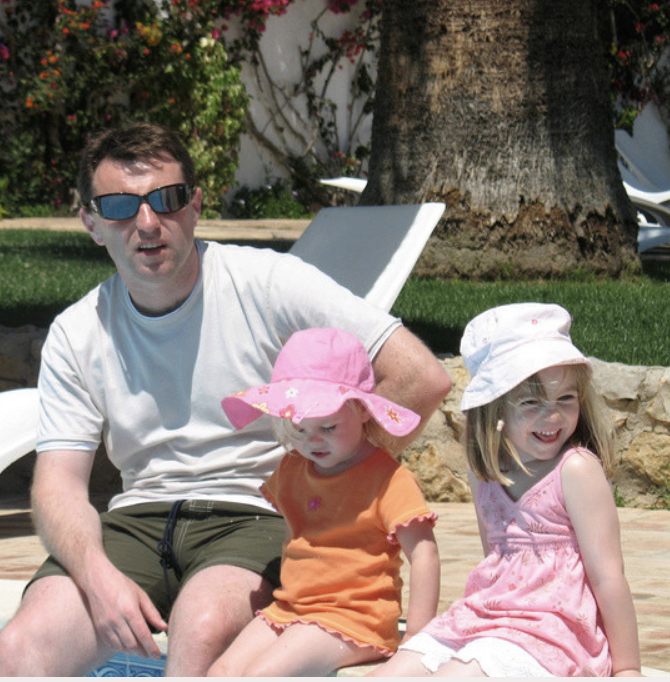 Jon Corner also lived with the McCanns for around a week in August 2007, during which time he took them to Huelva to distribute leaflets about Madeleine. He made a film about Madeleine which was later used by Panorama for their programme about Madeleine shown on 19 November 2017 (4). In November 2007, six months after Madeleine was reported missing, Catriona Baker visited the McCanns in Rothley, staying with them for a number of days. There are also indications from Kate McCann’s account of Catriona Baker in her book, ‘madeleine’, that she may have known her already, although she does not admit to this (4). These connections of Catriona Baker to Jon Corner and the McCanns were not known to the PJ team nor to Gonçalo Amaral. If they had been, they would certainly not have been so ready to regard her as an ‘independent’ witness. The lack of any credible, independent evidence by anybody that Madeleine McCann was seen alive after Sunday 29th April. We have said that Madeleine was seen alive on Sunday 29th April at lunch-time. We have given evidence that we cannot rely on the claims by Catriona Baker and the McCanns that Madeleine was alive at an alleged ‘high tea’ on Thursday afternoon. (Charlotte Pennington later gave a statement about this alleged ‘high tea’ but that also contradicted the other three statements). All other claims by witnesses who claim to have seen Madeleine after Sunday have been examined in detail by a British ex-pat now living in Canada, Lizzy Taylor (13). She concluded that apart from the evidence given by the McCanns and their Tapas 7 friends - which of course is not independent – all other statements claiming to have seen her were open to serious doubt. Many were extremely vague, with no checkable details given. Others were plainly wrong, for example, witnesses claiming to have seen Madeleine eating breakfast with the McCanns in the Millennium when the McCanns in their statements have consistently said they ate breakfast in their apartment every day from Monday onwards. The absence of any other reliable witness to seeing Madeleine from Monday onwards is disturbing, and strongly tends to confirm that Madeleine was not alive after Sunday. - Madeleine could not have applied the eyeliner herself. She could not have applied either the lipstick or the blue eye-shadow neatly. She certainly could not have put on her necklace herself, nor her hair bead. An adult must have done all this, but we have not been told who did it. Therefore the McCanns have not been truthful about the circumstances in which this photograph was taken. That means we are entitled to ask serious questions about when, where and why it was taken. - Madeleine displays no signs of fun, joy or happiness in this photo, as you would expect if she was having fun playing with Mummy’s make-up box. On the contrary, there seems to be a look of sadness, or even fear or dread in her eyes. - The photo is taken against a stucco background, either cream, yellow or ochre in colour. This is most unlike houses built in England. However, it strongly resembles the outdoor cladding of many buildings along the Algarve coast in Portugal. she can be seen wearing a pink-coloured smock, top or dress. 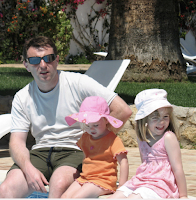 - Especially given what we have said in point (5) above, we are entitled to ask whether this photo could have been taken on the McCanns’ holiday in Praia da Luz, possibly even on the very same day as the Last Photo – Sunday, 29th April. If Madeleine’s death was the result of any criminality, that would be a powerful reason for those involved to cover up what had happened. A cover-up and hoax abduction could then have been carried out in total secrecy. The facts point to death on Sunday, or Monday at the latest. This, we suggest, opens up a vital new line of enquiry. This, we suggest, must be the starting-point for a fresh Portuguese police investigation. We conclude by suggesting what we think must be obvious by now to the Portuguese authorities: namely that the Metropolitan Police investigation into Madeleine’s death, Operation Grange, has clearly never been a genuine attempt by the British police to get to the truth of what really happened to Madeleine.